Cellphones have become a ubiquitous influence in many individuals’ lives. And although every cell phone owner walks around with a device in their pocket – or in hand – that is capable of tracking their location and transmitting a wide range of messages, most owners have no idea about the security of their device. These messages may be audible or visual, public or personal, seen or unseen. 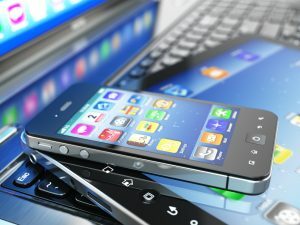 A number of techniques and devices have been developed to carry out surveillance on these messages and track the physical locations of a countless number of cellphone owners. In this article, we will focus on International Mobile Subscriber Identity catchers, or IMSI-catchers, as the prevailing method of cellphone surveillance. Some parts of the world do not have the communications infrastructure to necessitate a device such as an IMSI-catcher, but the IMSI-catcher is used in many places with access to advanced cellular communications like 3G. These devices were originally developed to covertly collect intelligence information from encrypted phone traffic. Like many similar technologies, IMSI-catchers have been adopted by local law enforcement for use against the public. These devices are available in the public and private sector and offer varying levels of access and surveillance. The most infamous of these IMSI-catchers is the StingRay. Like many telecommunications innovations before it, this device was originally invented for intelligence organizations and militaries. The StingRay has since found use in departments of local law enforcement for the purpose of monitoring the cellular traffic of nearby citizens. Like other IMSI-catchers, the StingRay works by imitating cell communication infrastructure. The IMSCI-catcher fools nearby cell phones into thinking that it is a local cell tower. This causes cellphones in the proximity to connect to the IMSI-catcher as if it were any other cell tower. Once connected, the StingRay offers a wide variety of functions. The device can intercept the content of communications, collect metadata, track the device’s location, jam all communications, and collect personally identifying device data. IMSI-catchers like the Stingray can be used to outfit buildings and vehicles with advanced surveillance capabilities. The StingRay can be utilized in squad cars, undercover vehicles, helicopters, planes, and even remotely controlled drones. As communication infrastructure becomes more advanced and encrypted, new surveillance techniques and devices emerge to monitor phone communications. Completely wireless surveillance through IMSI-catchers like the StingRay provides much greater stealth and access when compared to traditional intelligence-gathering methods such as phone bugs. However, these traditional cellphone surveillance methods are still in use along with their 21st-century counterparts. Organizations looking to secure their communications should be aware of cellphone surveillance and IMSI-catchers.